Looking for an eco-friendly watch? 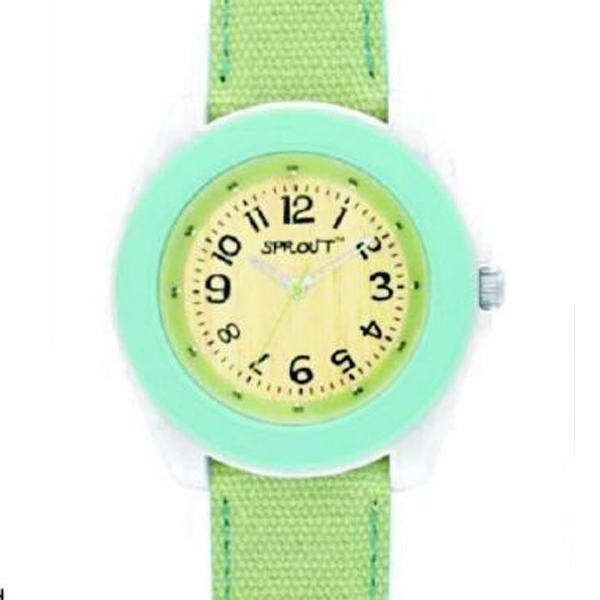 Here is a watch made from corn resin, organic cotton, bamboo, mineral crystal, mercury free battery and recycled fibers. Keep reading to learn more about these contents. Here are watches made from corn resin that is simiarl to synthetic plastics and will not break down during regular wear and use. Corn resin is 99% biodegradable to carbon dioxide and water within 365 days and made from a renewable resource. These watches are also made from organic cotton, without the use of chemicals. Growing conventional cotton requires enormous amounts of pesticides which has a huge environmental impact and health risks for those working around it. Some of these chemicals are known to be the most toxic chemicals in the world finding their way into the ground and contaminating drinking water. Organic cotton is grown using low impact on the environment. Organic production systems replenish and maintain soil fertility, reduce the use of toxic and persistent pesticides and fertiliziers and build biologically diverse agriculture. Bamboo is considered eco-friendly based on its natural fiber, quick growth plant and is a renewable plant that can grow back after its three to five year harvesting period. Mineral crystal-Most lenses in the medium price range of watches are made from plexiglass, a type of synthetic plastic. Sprout lenses are made from Minderal crystal, which is a type of glass, made from sand. Mercury free battery– Mercury is a neurotoxin which is harmful to both animals and humans. Exposure to small amounts of mercury over a long period may cause negative health effects, including damage to the brain, kidney, lungs and developing baby. 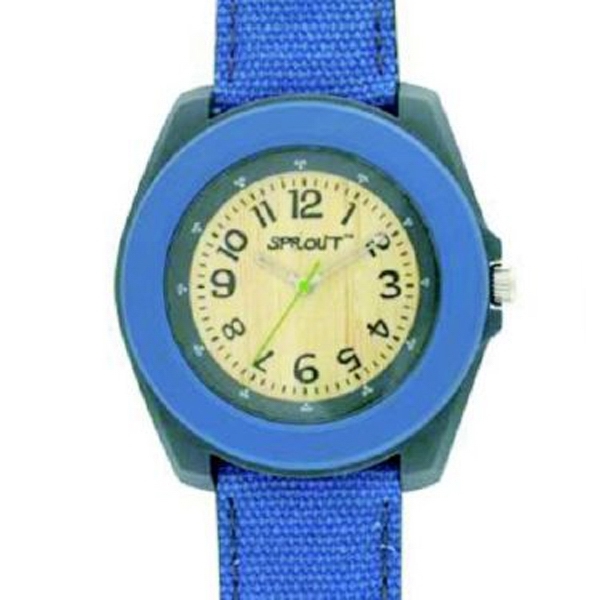 Recycled fibers-Sprout watches are made from at least 80% post-consumer fibers being both recycled and recyclable. Want to learn more about these eco-friendly watches and how you can get one? Contact us for more information and pricing. We would love to hear from you and help you get one. They come in a variety of colors and can imprinted with your logo. Be the first to get one of these new watches. Email beth@mmpromos.com come or call 516-935-0553. Priced as low as $35.00.